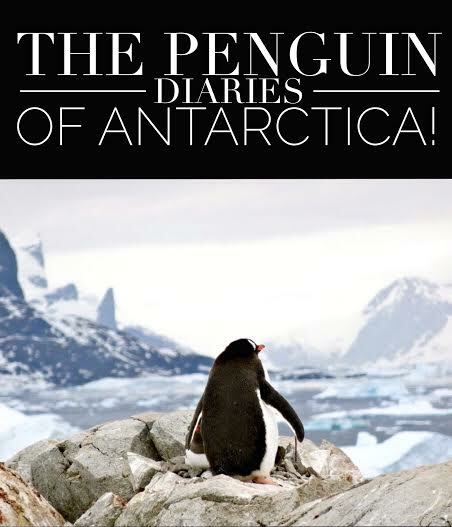 Personally I can’t see why you wouldn’t have the ice-covered, seventh continent of Antarctica on your bucket list, but if you’ve ever needed an excuse to visit Antarctica then let this be it. Here are 21 photos of Penguins that will make you stop what you’re doing and book a trip to Antarctica right this second! 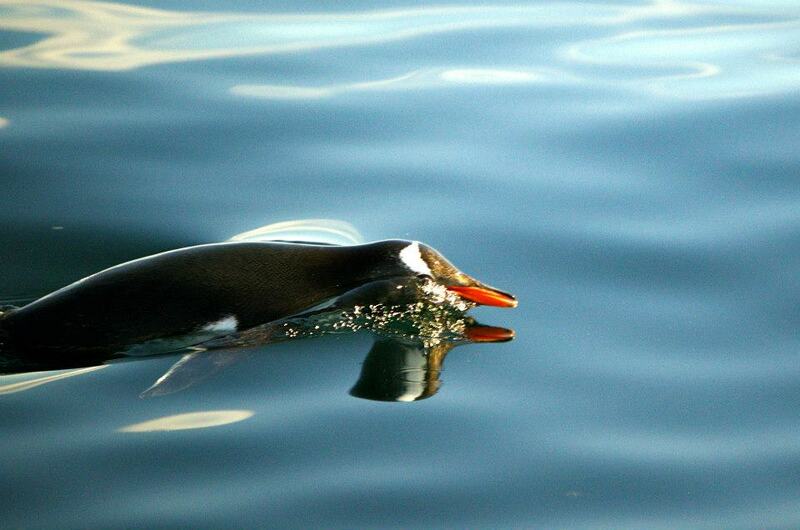 21 PHOTOS OF PENGUINS THAT WILL MAKE YOU WANT TO VISIT ANTARCTICA RIGHT NOW! 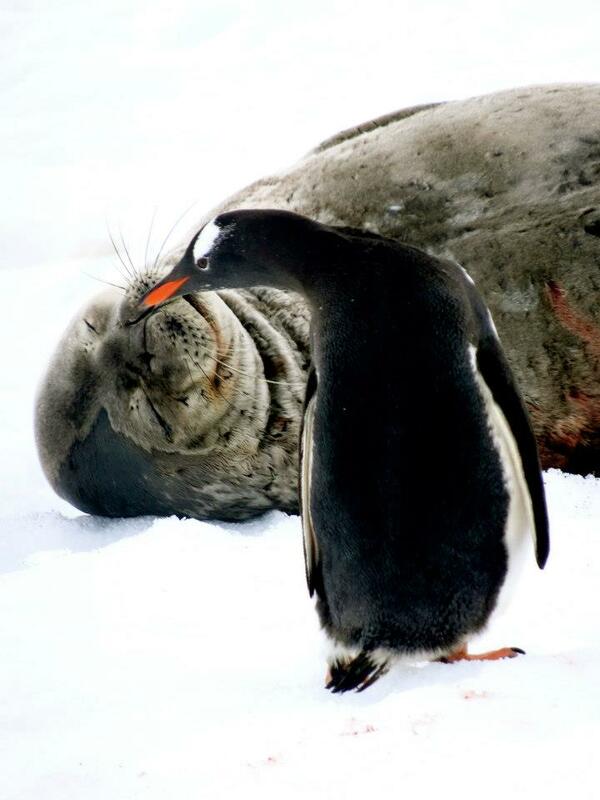 From the angle of this photo it looks as if this Gentoo Penguin is giving the Seal a sweet kiss! In actual fact, Seals are one of the Penguins biggest predators! A Penguin keeps their egg warm in a nest of rocks, which is called a rookery. 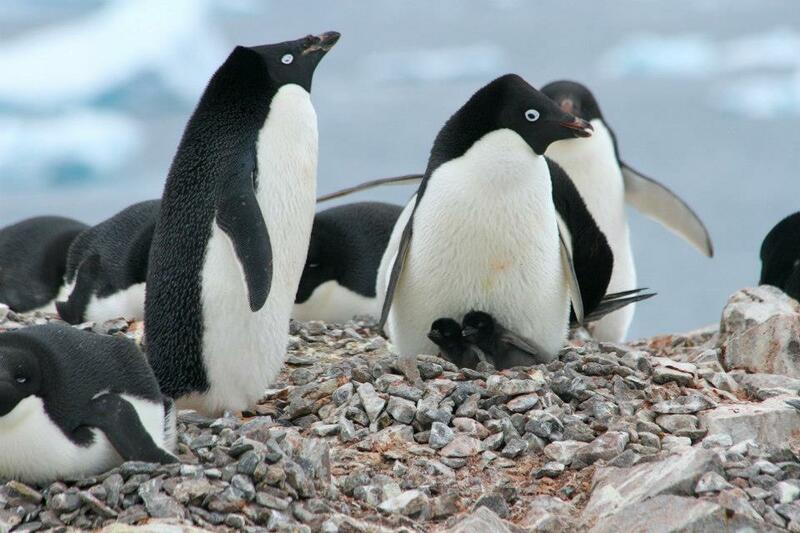 Most Penguin breeds including Gentoo, Chinstrap and Adelie all mate with the same partner each year. A Penguin goes for a swim in the Antarctic Ocean. 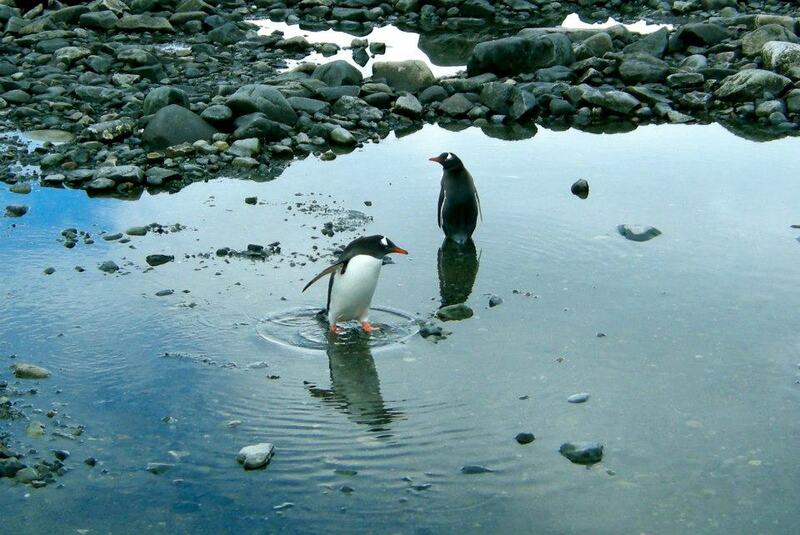 Most Penguins swim 4-7 miles per hour but the Gentoo Penguin, pictured, can swim up to 22 miles per hour! Penguins can’t breathe underwater but can hold their breaths for up to fifteen minutes! Did you know that a group of young Penguin chicks are called a ‘crèche,’ a group of Penguins in the water are called a ‘raft,’ and a group of Penguins on land are called a ‘waddle?’ Penguins are very social birds and whether on land or in the water they often stick together in groups for safety. Some Penguin colonies in Antarctica are huge and can often reach the size of 20 million or more Penguins, depending on the time of year! 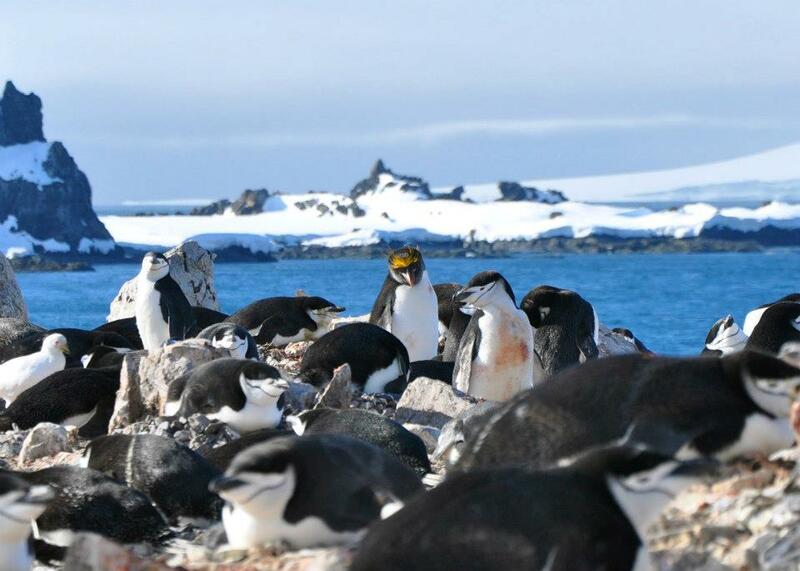 A lone Macaroni Penguin who lost his way and is now forever alone among the crew of Chinstrap Penguins. He is looking sad as he can’t find a mate. The largest population of Penguin species is the Macaroni Penguin with an estimated 11.5 million pairs! A stone is the most romantic gesture a Penguin can make to its mate, which are used to create the nest in which they raise their young. 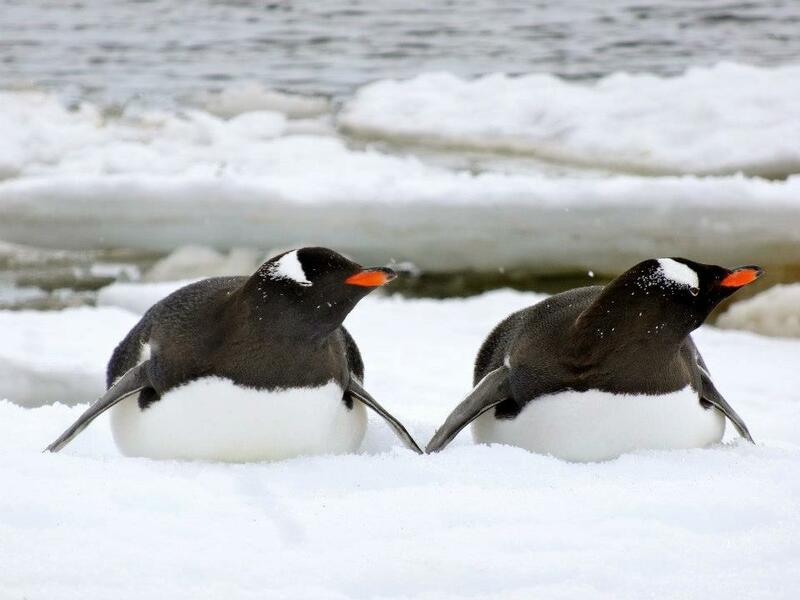 They aren’t just any stones though, the Gentoo Penguin searches through piles of pebbles to find the smoothest, most perfect stone to present to his companion. If she approves she will put the stone in her nest. 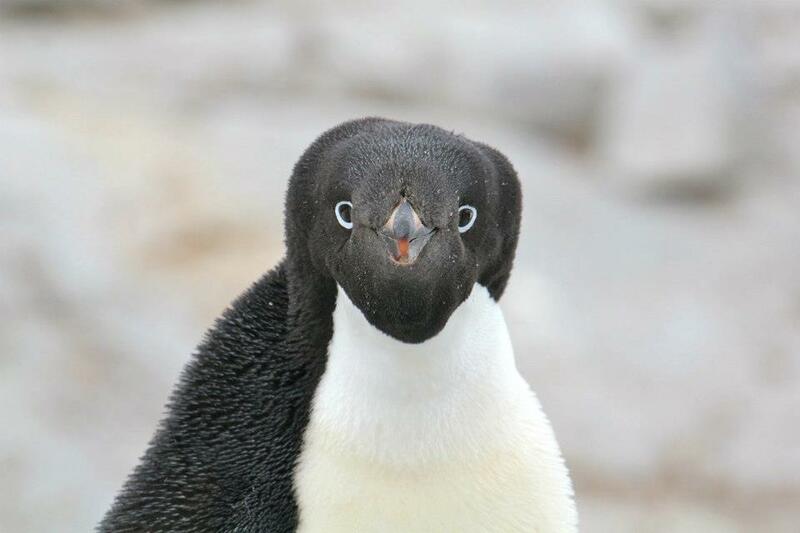 An Adélie Penguin looking ridiculously cute for the camera! 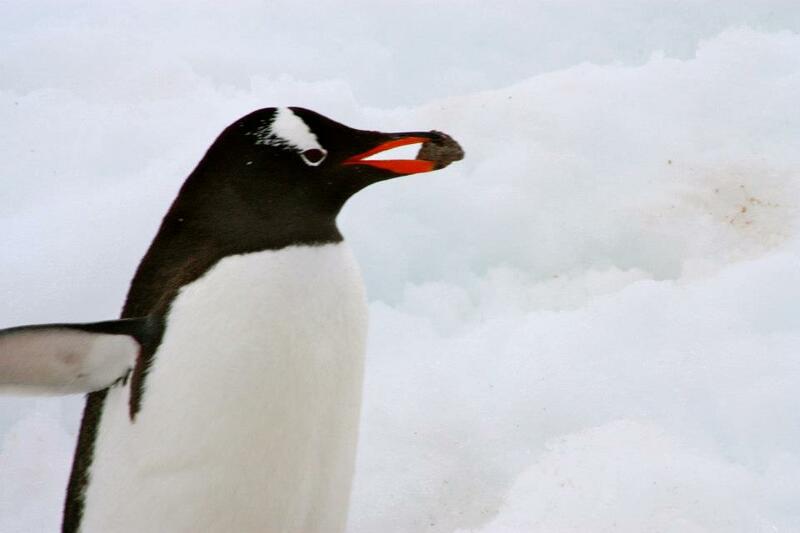 All penguins are carnivores and find all of their food in the water. 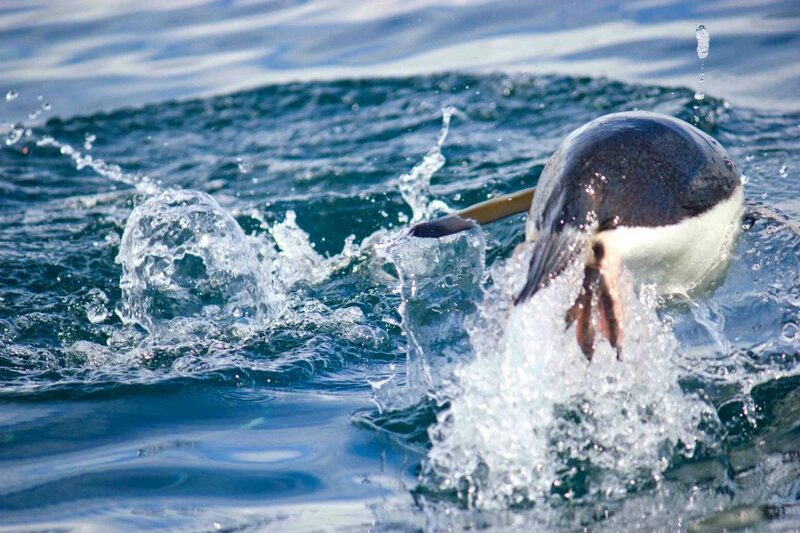 Fish, Squid and Krill are the biggest part of their diets. The boat that took us on our Antarctic adventure! It looks huge here but it was actually tiny, only 180 guests fit on the boat! 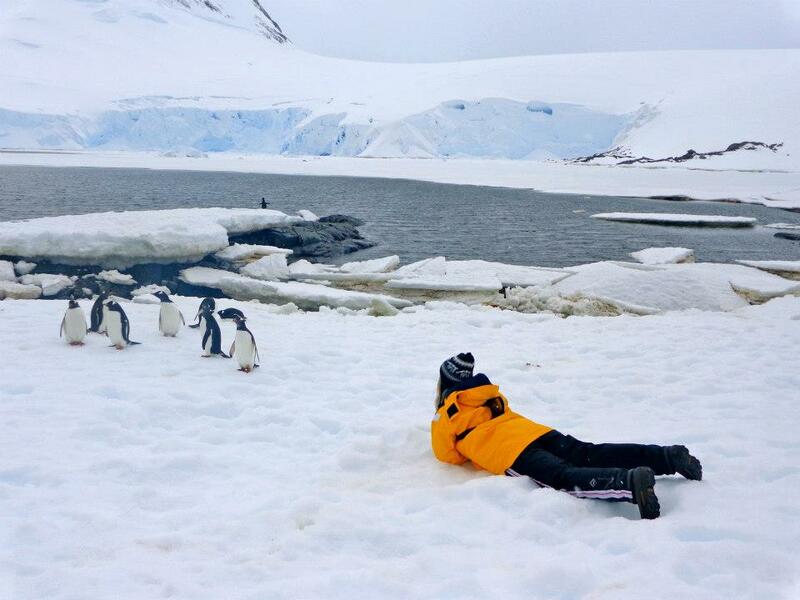 As you can see from the view, the Penguins sure do live in a beautiful part of the world! 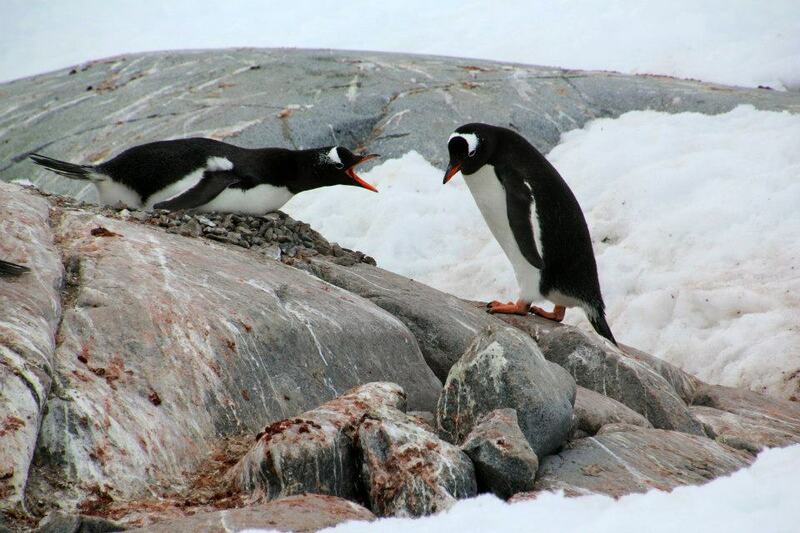 A female Penguin yells at another male Gentoo Penguin for trying to steal her rocks! Rocks are so important to the Penguins that males often fight over the prettiest pebbles and spend their days stealing from each other over and over. I love the look of shame on his face!! 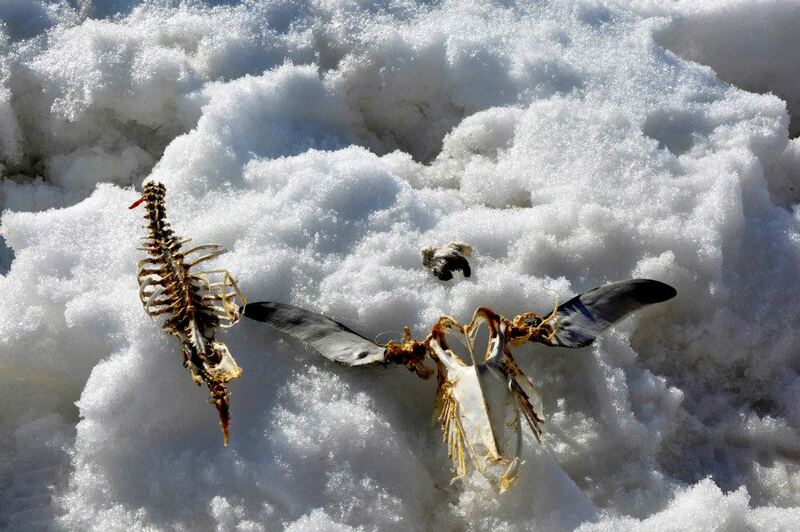 Penguin skeletons we saw on a hike one day! It’s sad to see but also so interesting! Out of the 17 species of Penguins 13 are either threatened or endangered, with some on the brink of extinction! Did you know that the colours of the Penguin are so that they can camouflage in the water. From above their black backs look like ripples in the water and from below their white stomachs make it hard to see them against the light of the sky above. 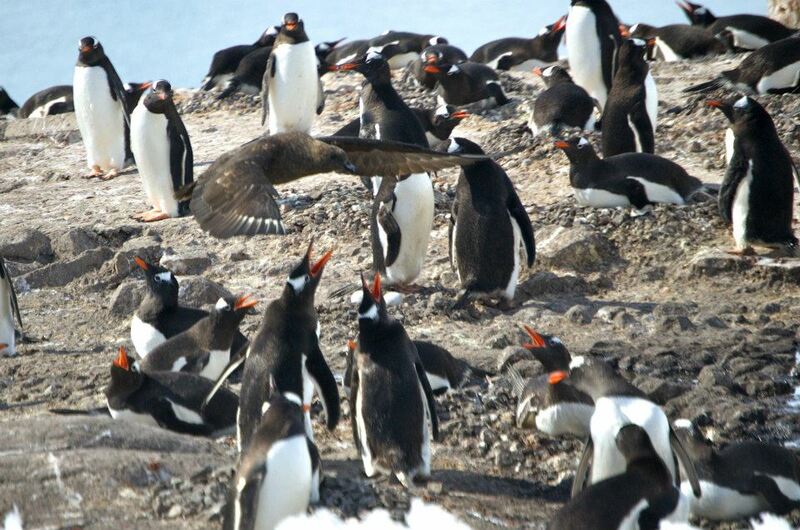 Thus predators, such as Seals and Whales, find it hard to hunt Penguins. 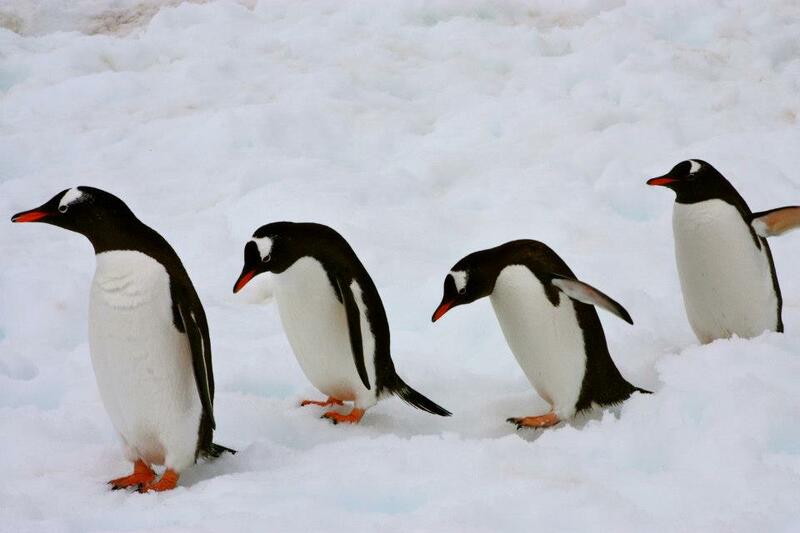 Penguins are so fun to watch, they waddle and fall all over the place as if they aren’t used to walking on the ice yet. 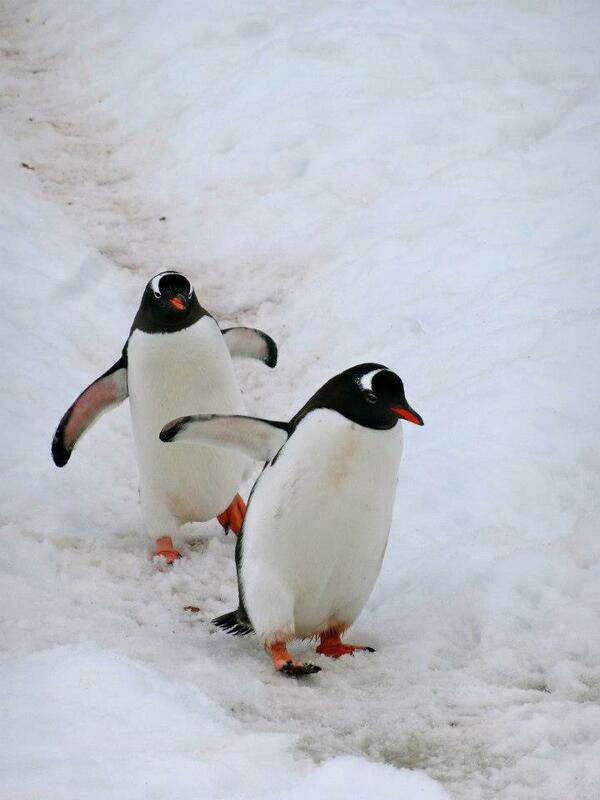 They seem to always follow the same paths too, as if they are following a penguin road! Penguins hold up their wings like this for two reasons: the first is to help them keep their balance and the second is to cool them down as heat gets trapped under their arms/wings. This photo should be more than enough reason to want to visit Antarctica, I mean look. at. that. view!!! I love this photo of these Penguins, it looks as if the two in the middle are in trouble and being escorted by the Penguins at the front and rear. Penguins can only be found in the Southern Hemisphere and can be found on each of the southern continents – Antarctica, South America & Australia (Oceania). This means that you will never find a Penguin at the North Pole. An Antarctic Petrel (this could be very wrong haha) swooping to try to catch a Penguin Egg for lunch! As you can see, the Penguins are fighting back! How cute is this!!!! I’ve got no facts for you here, it’s just an adorable pic! Penguins typically live for 15-20 years. During this time they spend 75% of their life in the water. Whilst they always return to land to lay their eggs they are much slower on land and can only walk a quarter of the speed they can swim. Penguins can often be found sliding around on their stomachs which scientists believe they do for both fun and as a faster, more efficient way to travel on land. 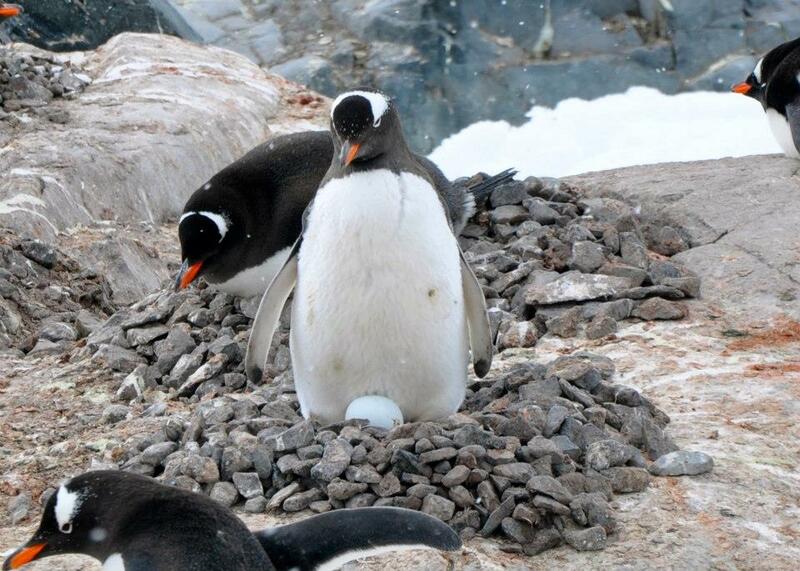 After around 35 days the eggs hatch with new baby Penguins (time depends on the species). When Penguin chicks hatch they are not waterproof, so they must stay out of the ocean. They depend on their parents to keep them warm and bring them food until their coat of fluffy down is replaced with waterproof feathers. Aren’t they cute?! Penguins don’t really have many predators on land so are not scared of humans in the slightest. Whilst you can’t go closer than five metres to the Penguins if you sit or lie down they will usually get quite close to you as they are very curious creatures (this is allowed, as they have chosen to come near you)! There you have it! 21 photos of the cutest birds in the world! 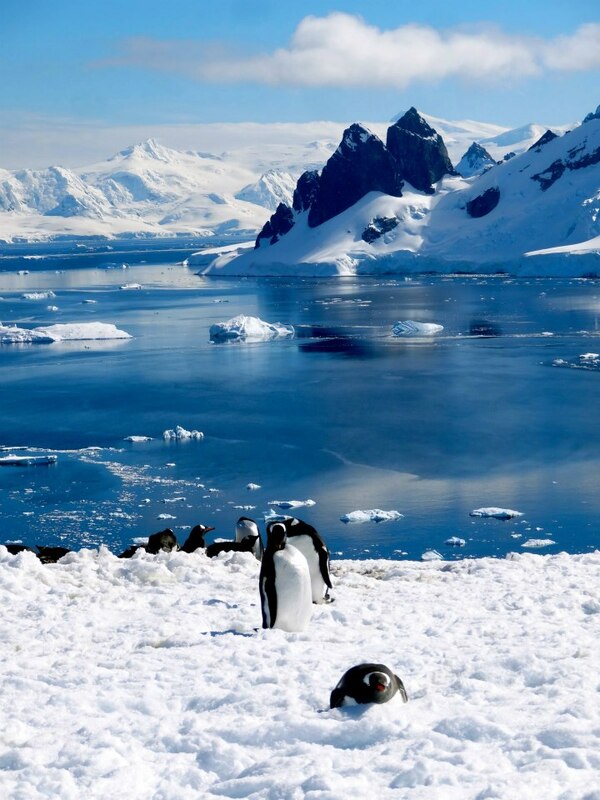 If these pictures of Penguins can’t create a desire to visit Antarctica then I don’t know what will! They are adorable, aren’t they? And even funnier to watch in person, I would just sit for hours watching them fall all over the place and steal rocks from each other. 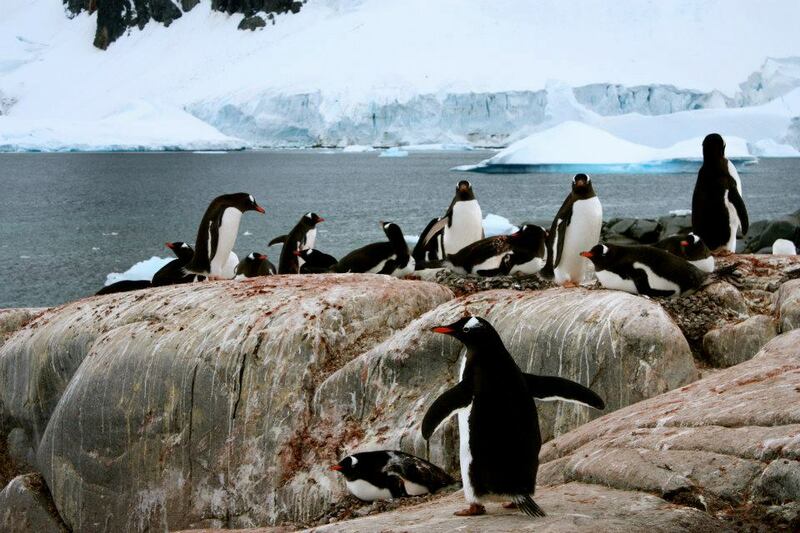 Related Read: How to Save $5k On A Trip To Antarctica! Which of these was your favourite photo? 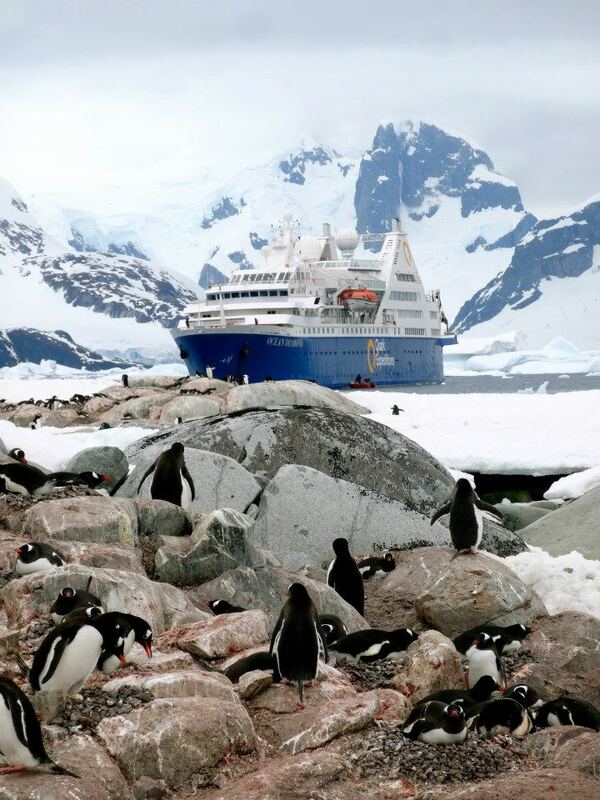 Is Antarctica on your bucket list? I wish I could take the credit for all of these photos but I can’t. I wish I could credit each person who took them but everyone on the boat shared photos with each other at the end of the trip. I have no way of knowing who took what, I can’t even remember which ones I took half the time. If any of these belong to you I would love to credit you (and get in touch after an awesome tour together). my site =). We will have a hyperlink change arrangement between us! wonderful post to improve my experience. Beautiful post which makes me long for the land of everlasting ice and snow! How exciting Sean! It will be life-changing! Definitely take lots of warm clothes and a good camera. You are going to have such a fabulous time, please be sure to let me know how it goes! Who are you going with?